Syrgak Abdyldaev, the political observer of Reporter Bishkek newspaper was assaulted on March 3 at about 7pm. Unknown people attacked the journalist near the office of Reporter Bishkek newspaper and inflicted about 30 knife wounds to 47 year old Abdyldaev. Moreover, the open fracture of both hands, multiple bruises became the result of the attack against journalist. Mr. Abdyldaev was delivered to 4th city hospital of Bishkek in grave condition. It is worth saying that the health condition of the journalist is also affected by the fact that he served in Afghanistan, where he was badly wounded. Bakyt Seitov, the head of Kyrgyz Internal Affairs Ministry press-service, informed Ferghana.ru that special task group was formed in order to investigate the case while Moldomusa Kongantiev, the internal affairs minister, took the case under personal control. 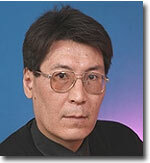 Syrgak Abdyldaev has been working for Reporter Bishkek newspaper since the first day of the operation. He writes pointed political articles that often times reflects the critics of current ruling regime. “We are not satisfied with the beginning of investigation on the attack against our journalist because the police did not carry out timely screening of the tragedy place and careful interview of the witnesses that could help identify the persons, involved in the crime. I am seriously concerned about the safety of other editorial staff”, Sultan Kanazarov, the founder of Reporter Bishkek newspaper, tells Ferghana.ru. “The demonstrative nature of the assault is quite evident. The crime occurred in close proximity to our office at the busy street at 7pm, when there are lots of people, walking by. Syrgak Abdyldaev is a military officer, having athletic body. If the attackers were unprofessional it would be very difficult to them to cause such wounds and open fractures of both hands. Yesterday, prior to the assault, Syrgak Abdyldaev informed us that, in his opinion, he is being tracked. As a former officer of state security bodies he professionally analyzed the situation. We view the assault against Syrgak Abdyldaev as an open challenge to our newspaper and the freedom of speech in general”, Sultan Kanazarov noted in the interview to Ferghana.ru. "We condemn this vicious attack on Syrgak Abdyldayev and call on Kyrgyz authorities to investigate it thoroughly and effectively," said CPJ Europe and Central Asia Program Coordinator Nina Ognianova. "Kyrgyzstan must not allow impunity in attacks on reporters to chill the media." It is worth mentioning that this is not the first attack against the journalists of Reporter Bishkek edition. After the assault in November of the last year, one of the authors, Khabira Mazhieva, had to escape to Sweden and request political asylum there. Currently, the health condition of Syrgak Abdyldaev remains unstable. However, according to the doctors, his life is not under threat. Reporter Bishkek newspaper editorial staff would like to thank Dinara Sagynbaeva, the head of medical aid organization department under Healthcare Ministry, Muhamatalim Tursunbaev, the director of Republican blood center, and Elena Bayalinova, the spokesman of Healthcare Ministry of Kyrgyz Republic, for personal contribution in rescuing Syrgak Abdyldaev. 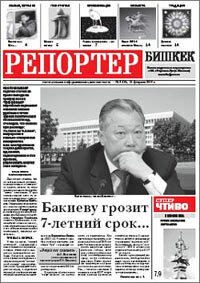 Weekly edition of Reporter Bishkek has been published since February of 2008 in Russian language and in cooperation with Ferghana.ru information agency.